Singapore Art Museum (SAM) and Queensland Art Gallery | Gallery of Modern Art (QAGOMA) have co-commissioned an artwork by Indonesia-born Singaporean artist Boedi Widjaja, which will be presented at ‘The 9th Asia Pacific Triennial of Contemporary Art’ (APT9) in Brisbane, Australia and the Singapore Biennale 2019. The project marks the first to be developed from a five-year partnership between the two art institutions, established since October 2016. Boedi Widjaja (b. 1975, Indonesia) lives and works in Singapore. Trained as an architect, he spent his young adulthood in graphic design, and turned to art in his thirties. His works often connect diverse conceptual references through his own lived experience of migration, culture and aesthetics; and investigate concerns regarding diaspora, hybridity, travel and isolation. The artistic outcomes are conceptually-charged, and span mediums from drawings to installations, sound and live art. 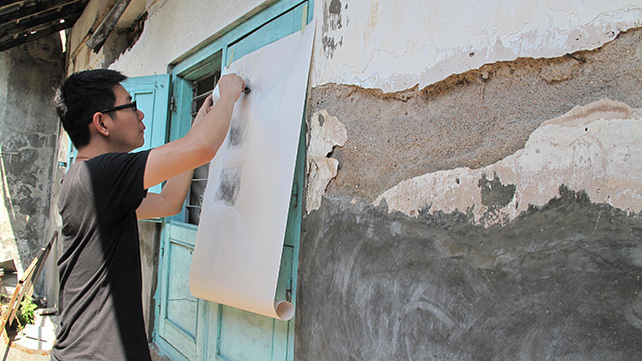 He has shown in numerous exhibitions in Singapore and internationally, such as MAP1: Waterways (2017), at the 57th Venice Biennale Diaspora Pavilion and in the Barbican (2017).